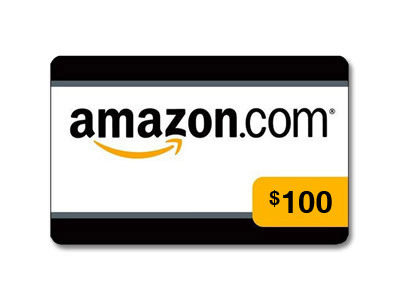 One lucky reader will receive their choice of $100 via paypal or Amazon E-Code! Giveaway ends April 18th at 11:59pm, open to worldwide, ages 18+. To enter please use the Rafflecopter form below. Good luck! Disclosure: I received no compensation for this publication. My opinions are my own and may differ from those of your own. Giveaway Bandit is not responsible for sponsor prize shipment. Please contact teri@mompoweredmedia.com with questions or to see your business or blog featured on the next big event! To inquire about becoming a sponsor for a giveaway, sponsor a post, or anything else, please contact Melanie at melanie@giveawaybandit.com for details. Take a look at our Media Kit to see what Giveaway Bandit has to offer. Would be AMAZING help with two growing babies!! Need to buy the wife a b’day present and not working so this would be great!! Thank you for posting Marvel’s “Captain America: The Winter Soldier” coming April 2014. I’ve been trying to find the first movie ever since I saw the Avengers. Now I REALLY have to hurry up and find it! I’m looking forward to this sequel. I agree..this is a great giveaway. I read the post on the top 5 family friendly TV shows. While I agree that most are good shows, I don’t know that I would agree that they are all family friendly. I can think of several shows I would watch first. Couldn’t come at a better time! Unexpected expenses keep popping up! Love this site and Amazon! Looking to get some nice shoelace alternatives. What a nice Give-Away !